Does anyone know any other fonts similar to Helvetica Neue (free for commercial use)? I'm working on a big website project where 'Helvetica Neue' is used heavily. I need a font that looks almost the same, is free for personal and commercial use, and looks good even when used with copytext (e.g. 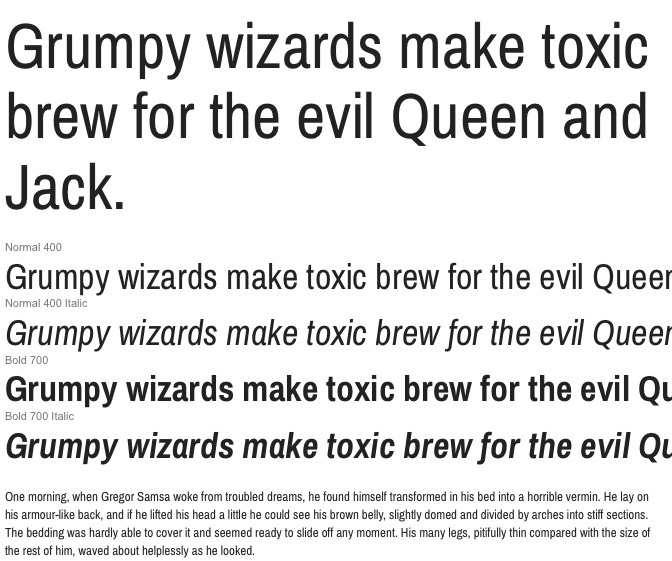 fontsize for copytext = 11px, for headlines = 16px). Also there should be a condensed-font style included (if possible). I still think that for web, the best free option out there is Liberation Sans. It renders perfectly with @font-face. But you can get Helvetica Neue for web from Fonts.com for web use for a fair price too. I would probably use font-family:"Helvetica Neue, Helvetica, Liberation Sans, Arial, sans-serif"; so those pcs with the font installed can see it, and those who don't have it can see a replacement. Roboto is a good neo-grotesque sans that can replace Helvetica. Commissioned by Google and released for free. Used as Android's default font. Google re-designed Roboto in July 2014. The above sample has now been updated. More about Roboto's (pre-redesign) similarity to Helvetica here. I wouldn't overstate its similarity, but I would say it's a good free alternative. Since the 2014 redesign, some of its most Helvetica-like aspects have actually been removed. 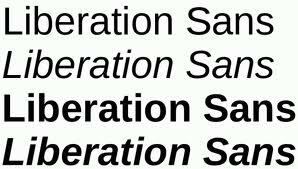 I also agree with Yisela's recommendation of Liberation Sans, which is also a good font albeit available in fewer weights. Tex-Gyre-Heros is for me the best one. Enjoy it! The closest open source licensed font to Helvetica Neue I have found is surprisingly GNU FreeSans. Below is a sample from Inkscape, with FreeSans at the top and Helvetica Neue at the bottom. The glyphs are nearly identical, some are a little closer to original Helvetica. The spacing varies slightly (at least in Inkscape). The biggest difference I can see is FreeSans has ligatures between certain characters, note the 'fl' combination. 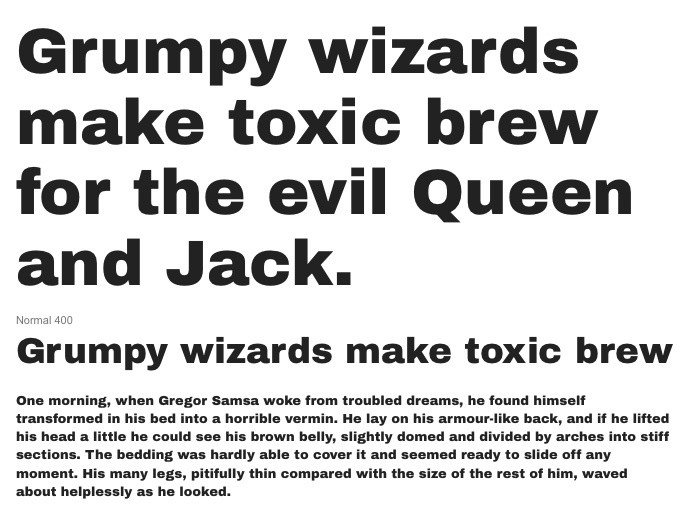 It is an excellent font and is works well with the GNU font family of FreeSerif and FreeMono. For the other Helvetica Neue like the standard one, other answers have been posted and they're pretty good. If you want to only stick to the Google WebFonts, Droid Sans, Open Sans and Roboto are not perfect but could work. These look similar. I hope they'll work for you. Everyone's been giving you names of fonts that look similar to Helvetica (some more than others) but depending on what kind of project it is that you're working on you might not need any of those. Unless you need something that looks almost exactly like Helvetica, Arial might be an option you should consider. It comes pre-installed in (almost?) every Windows version and also Apple devices. Unfortunately Arial Narrow isn't included in iOS but, since both Helvetica and Helvetica Neue come pre-installed in all Apple devices, you wouldn't have to worry too much about it. Your font stack could be something like font-family: "Helvetica Neue", Helvetica, Arial, sans-serif; and you'd be covering the most common devices and operating systems (except for Android which I think doesn't come with any of those two font families). Keep in mind this is far from ideal in most cases but would allow you to avoid licensing costs and reduce the time it takes for your website to load (since it will not be downloading fonts). This will also take some load off you server even though serving fonts isn't such a big deal. Here's a link to a site with some of the fonts that come pre-installed with different operating systems: http://www.cssfontstack.com. And here's another one to a Wikipedia article about the usage share of the different operating systems: https://en.wikipedia.org/wiki/Usage_share_of_operating_systems. This may not resemble Helvetica that much, but I did find a font called Montserrat which you can download from FontSquirrel. The closest I've found so far is "Raleway" on Google Fonts (http://www.google.com/fonts). I usually use the light 300, 200 or 100. Not exact, but as close as I can find at the the moment. I found these two fonts that look like the google logo,if anyone is interested. Not the answer you're looking for? Browse other questions tagged website-design web-fonts web-safe font-recommendation or ask your own question. Visually similar alternatives to Helvetica? Where to find free, high-quality, letterpress/woodblock type fonts? What is the ideal number of font sizes to use for a website? Free font alternative to Code Pro? Is there a free Helvetica Neue Extended alternative?